Yesterday IWGuide for Netflix has been reviewed by the site MacObserver.com. You can read the review “IWGuide for Netflix: What’s Coming & Going” by David Winograd at http://www.macobserver.com/tmo/review/iwguide_for_netflix_whats_coming_and_going/. 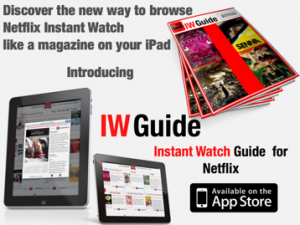 Overall the review is honest and point out the benefits of IWGuide for Netflix. The author of the review correctly mention the incorrect data reported by IWGuide regarding the movie definition HD/SD but unfortunately that information is being provided by Netflix web service API. So until Netflix fixes their incorrect data, there is not much that IWGuide for Netflix could do. Posted in Blog, iOS, iOS Apps and tagged iPad, IWGuide, netflix.